Details are slowly being revealed for the upcoming OnePlus 5, and the latest is the confirmation of the phone packing a Qualcomm Snapdragon 835 chipset. 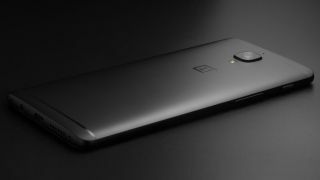 The announcement was made on Qualcomm’s Twitter, as the firm let the world know that the new OnePlus flagship will have its most powerful chip under the hood. It's the same chipset you'll find in the Sony Xperia XZ Premium, HTC U11 and the US variant of the Samsung Galaxy S8 – which puts the OnePlus 5 up there with the best phones around. OnePlus CEO Peter Lau has also written a blog post on the performance of the OnePlus 5, saying the chip "sets the foundation for smooth, powerful, and efficient performance. With graphically-demanding apps, for example, you'll notice how fast they load and how well they run." That falls in line with the exclusive app load times data we received from a source close to OnePlus, which showed the new handset outpacing the Galaxy S8 and Google Pixel XL. We also know the phone will be called the OnePlus 5, not the OnePlus 4, and it'll launch sometime this summer, with June looking the most likely for now. In the past the OnePlus pull has been flagship specs at an affordable price point, but rumors claim the Chinese firm may increase the price point for its upcoming smartphone. It's still likely to come in cheaper than its established flagship rivals, but it might not be quite the same value for money as in previous years.